Indian spiced butternut squash soup from Eats Well With Others is a warming meal. 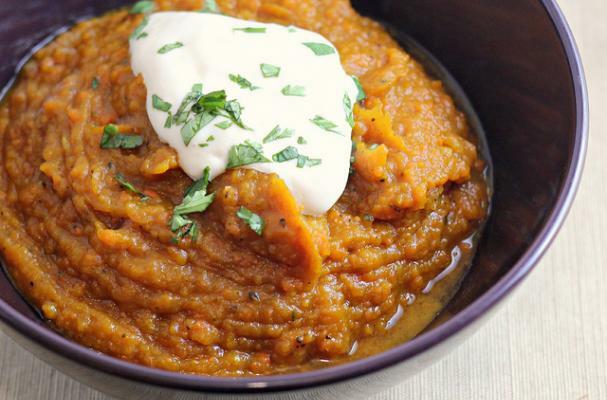 Kabocha squash is cooked with onions, carrots, and garlic. Madras curry powder and garam masala are added to give the soup a boost of flavor and a spicy kick. If you cannot find Kabocha squash, you can substitute with butternut or acorn squash. Serve this soup with a dollop of yogurt and naan (Indian flatbread). For full recipe instructions, click here.